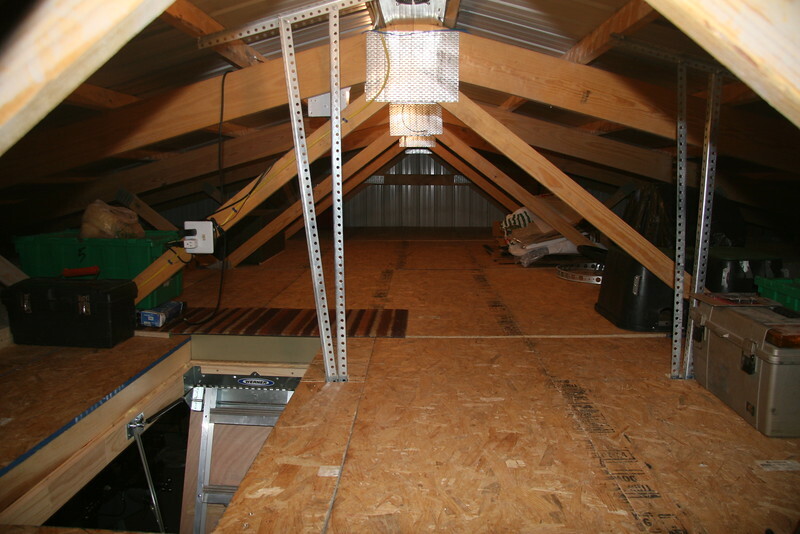 Attic space being cooled. This is an inferno during the Summer. The ridge vent system brings the temperature down to 90-100F depending on outside air temperature. Cold air can be brought through the step access opening if required. The shop space is evaporatively cooled.